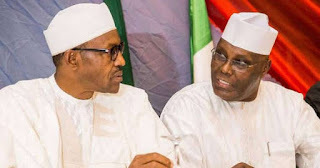 A senior Pastor of the Awaiting The Second Coming Of Jesus Christ Gospel Church in Akure, Pastor Adewale Giwa, has described the presidential candidates of the All Progressives Congress, APC, Muhammadu Buhari and that of the Peoples’ Democratic Party, PDP, Alhaji Atiku Abubakar, as fake. In his message while marking the 17th Anniversary of his church in Akure, Ondo State, Giwa said Nigerians had their destiny in their hands. “Buhari and Atiku’s plans for Nigerians are fake, and should not be relied upon.